August is the hottest and quietest month in Madrid, as the temperature reaches around 35°C – 40°C during the day and people tend to go take holiday. If you need a suggestion for the month to visit Madrid – it is August. Why? Because August is full of festival but empties of tourists. Are you ready to explore Madrid as a local? 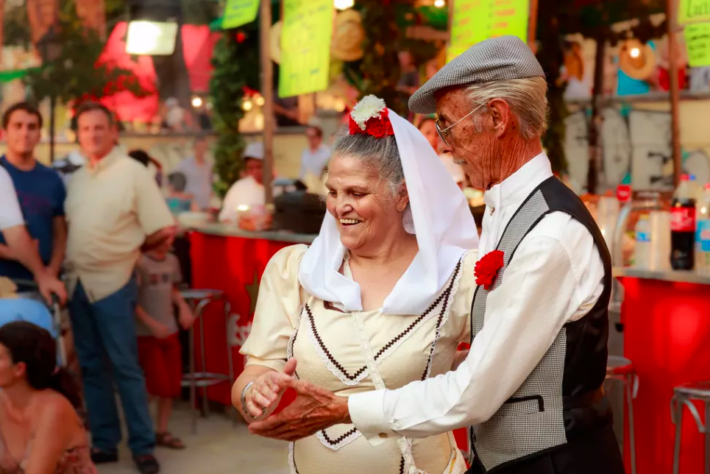 Throughout the first two weeks of August, local people in Madrid decorate the city, participate in open air parties and worship the saints and virgins to celebrate the festivals throughout the city. The Fiestas de Agosto (August festivals) are organized throughout the city, in different neighborhoods and under different names as San Cayetano festival (August 2 to 8) in Rastro/Embajadores area, San Lorenzo (August 9 to 11) in Lavapiés neighborhood and La Paloma (August 12 to 15) in La Latina district. 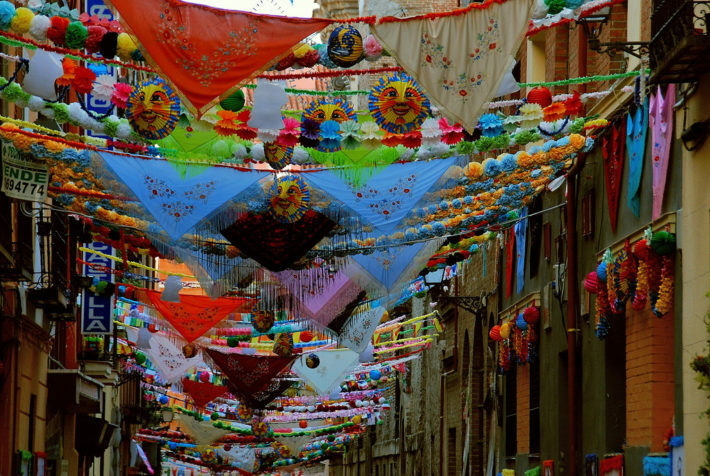 During these days, streets are decorated with colorful paper flags, garlands and lights. Parades and marches pass through the city in the afternoon and Madrileño perform their traditional dance. In the evenings, the city is light up with shining decor from the main streets, small alleys and open-air fairs. San Cayetano: traditional lemonade, mus or frog championships, children's workshops and concerts, official proclamation. San Lorenzo: children's activities, dancing. La Virgen de la Paloma: storytellers, chotis dance, water battles, micro theatre, pasodobles contest and concerts. If you wish to taste the local cuisine, do not miss this fantastic chance as it is sold everywhere, from churros, tapas, sardines to sangria. Do not surprise if you just walk through an alley for a drink and realize yourself immersing in the crowd with live music and your foot starts to dance on the street without any awareness. Let’s rock the city! If you are looking for a more family-friendly activity than a bullfight, horse racing in Madrid is the right choice for you. Even though the 77th season lasts from March until December, visitors can enjoy the atmosphere with three to five races every Thursday evening in August. During the summer season, visitors can enjoy alternative options besides the competition of horses. The racecourse offers various of venues and activities for people at all age, from Poni Turf kids clubs for your children, restaurants and food truck for those who hunger, Eduardo Torroja Museum for adults and paddock experience for the whole family. It is fun to bet on a horse and try your luck! 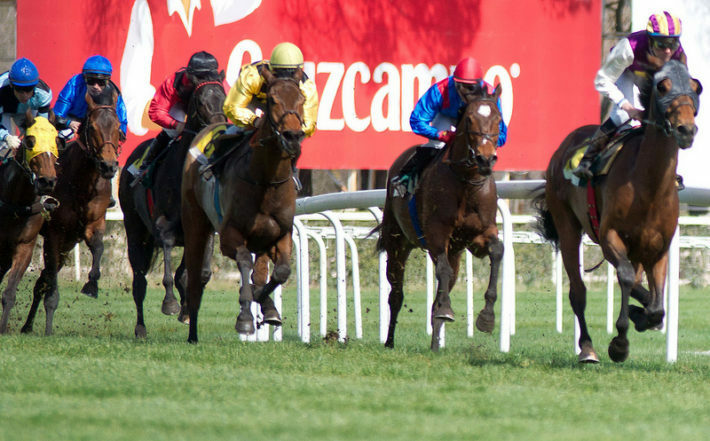 Head to the racecourse early and experience Madrid nights your way! Please visit the official website for more information. There are two big sales seasons in Spain, including the winter season (January, February) and the summer season (July and August). Shops and stores usually start with a discount of 20% and reach 70% at the end of the season. 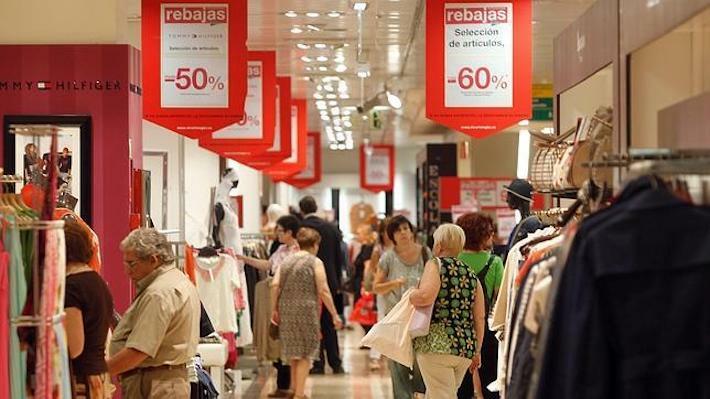 Note that the summer Rebajas season starts at the beginning of July and most of business and shops owners tend to take holiday in August so if you are a shopaholic and your Madrid trip is in August then you should visit your favorite brands as soon as possible. August in Madrid has a high average temperature of 25°C, reaching the climax of 35°C during the day and cool down to around 16°C during the evening. 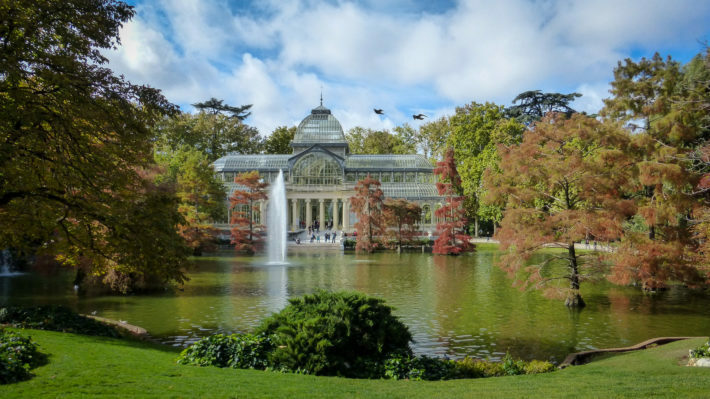 Several ways to cool down the heat could be going to swimming pools or visiting Retiro park – one of the largest parks in Madrid. Another idea for the summer is to have a cocktail with friends in one of the rooftop terraces in Madrid. Planning to visit Madrid in August? 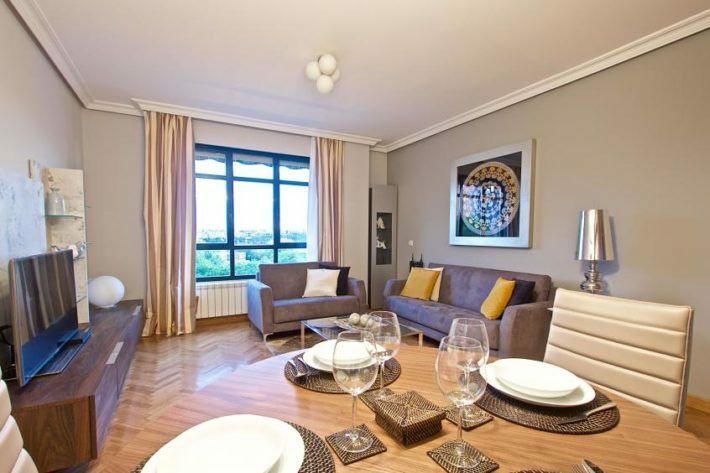 Latina Nature is highly recommended for a couple or family that is looking for an affordable rent in Madrid. It is a premium apartment, well-located and can host up to four people. For the full lists of holiday apartments in Madrid, please visit Habitat Apartments.